In a television advertisement a while ago the statement was made that, if it is on the internet, it must be true. That reminded me of an article comparing film to sensor resolution. 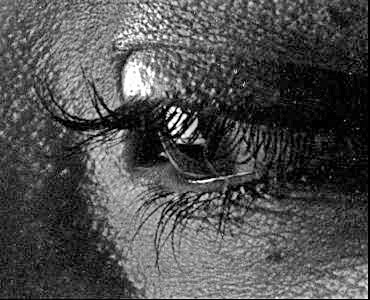 The writer boldly stated that most films have a resolution of at least 300 l/mm (lines per millimeter). Of course that was overstating things by a huge margin. I don’t mean to say that there aren't films that can attain such high resolution figures, but all films? Resolution is generally tested by taking photographs of test targets which show a pattern of black lines in an ever decreasing size against a white background. Eventually the lines will become so small that the film, the sensor or the lens, can no longer distinguish the black lines from the white spaces in between. One black line and the adjacent white space are referred to as 2 l/mm or 1 lp/mm (line pair per millimeter). It is a known fact, however, that evaluating resolution with test targets does not render very conclusive information. The black lines and white spaces in between constitute a very high contrast. This makes it substantially easier for the film (or a lens) to separate the two. Reducing contrast by using grey lines on a white background would render substantially different results. Another major factor influencing resolution is the grain structure of the film. A film image is made up of silver halide clumps which show up in form of grain. 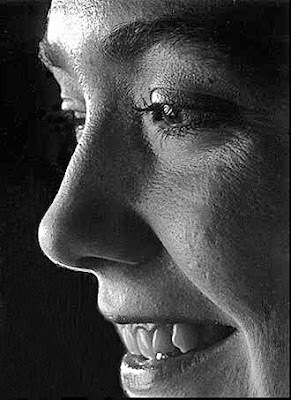 The smaller the silver halide clumps or the grain, the finer the detail that can be shown. Faster films simply do display coarser grain which in turn lowers the resolution of a film. These three images are from a fine grain negative (Agfapan APX 25). 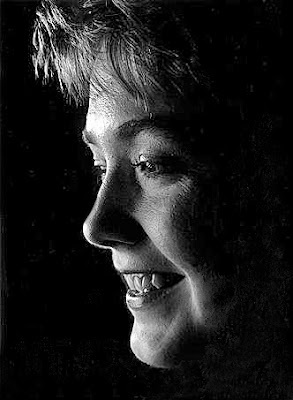 The first was scanned from an 8x enlargement, showing the entire negative area. The second image was scanned from a 16x enlargement. This isn't to say that higher resolution sensors aren't desirable. 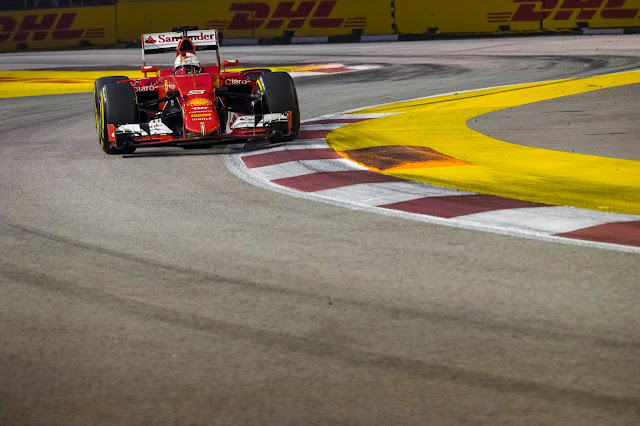 The relatively small number of individual sensor elements of a 5 MP camera can only show limited detail. In order to take full advantage of the capabilities of our lenses, a higher resolution is necessary. 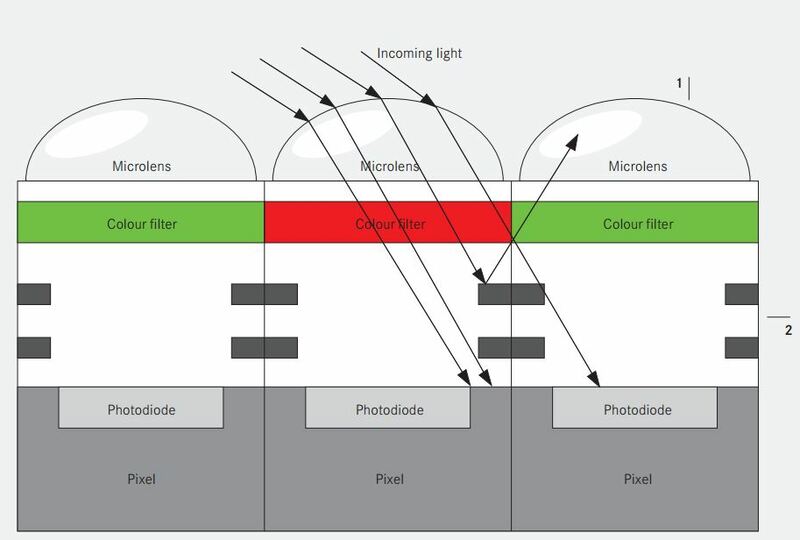 Finally, the structure of the emulsion or emulsion layers influences film resolution because in any case, light traveling through the emulsion, will scatter and thus reduce resolution as well. Subsequently, to say that most films have a resolution of 300 l/mm is patently false. As a matter of fact, only few commercially available films even have that high a resolution. Researching this topic, I came across a report written by Joseph A. Schantz, Assistant Head of Research and Development Department at the Navel Photographic Center in Washington, DC. He wrote that since 1963 the Navel Photographic Center and the Navel Air Systems Command as a matter of continuous policy have expanded efforts to upgrade 35mm photography on a systematic basis. The aim of this work was not only to improve the quality of documentary and reportage photography but also to improve intelligence collection capabilities of the Navy’s cameras. According to the research done by Mr. Schantz, the best resolution obtainable with conventional, slow speed films, like the old Agfapan APX 25, is 250 – 300 l/mm compared to 550 l/mm with the Agfa High Contrast Copy Film and 600 l/mm with Kodak 5069 and 3414 film. In addition, C. B. Neblette in his book “Photographic Lenses” clearly states: "The resolving power of a lens-film combination is not fixed by the film alone, but by both the lens and the film (or sensor). Resolution is determined principally by the sharpness of the image (lens resolution). But it is profoundly influenced by the tone producing properties of the receptor (film or sensor) and its ability to reproduce steep gradients. For that reason resolution cannot be regarded as an exclusive property of the lens." For the average films available today, a more modest resolution of 100 to 200 l/mm is a realistic figure, based on film speed and general properties of the film. Black and white films generally have a higher resolution than color films. The former Agfapan APX 25, for instance, had a resolution close to 300 l/mm while Fuji Velvia 50 was rated to resolve 160 l/mm. To make film resolution more understandable in this comparison, let’s refer to the smallest detail a film can show as pixels. On a standard 24 x 36mm 35mm frame, a film with a resolution of 100 l/mm would render a total of over 8,6 million pixels. That increases to over 19,4 million pixels with a film resolution of 150 l/mm and over 34,5 million pixels with a 200 l/mm resolution. Of course a 35mm negative or transparency is of little use just by itself. Today transparencies generally are scanned and then further processed digitally. Does anyone still use a slide projector? Many film users still make their own enlargements, mostly from black and white negatives, or the negatives are scanned for further processing. Regardless how films are used, any further processing will have an image degrading effect, based on the slide projector, enlarger or scanner used and by their respective quality. With other words, the resolution figures for films are a theoretical value that can never be fully realized. For more details on this topic go to LEICA Barnack Berek Blog article “LEICA LENSES – WHAT GIVES THEM THEIR OUTSTANDING QUALITY.” However, without going into the details of that article, just one comment about lenses: Most people consider resolution of a lens to be the most important measure of lens performance. While that is important, the contrast level of a lens is at least equally important. This refers to the lens' ability to distinguish between very similarly shaded objects. A lens with a low contrast level often cannot make that distinction and no increase of contrast during printing or in post production is able to make up for that. It is actually the fact that a higher contrast level of a lens can result in sharper appearing detail. the one in the bottom example. Unlike film, digital sensors will render the same contrast level up to the finest detail. This has the result that the finest detail becomes less visible. A color image is made up out of RGB (red, green, blue) image elements. With the exception of the hardly ever used Foveon sensors, digital sensors can record only in black and white. In order to obtain a color image, the light passes through an array of red, green and blue filters, the Bayer filter grid. 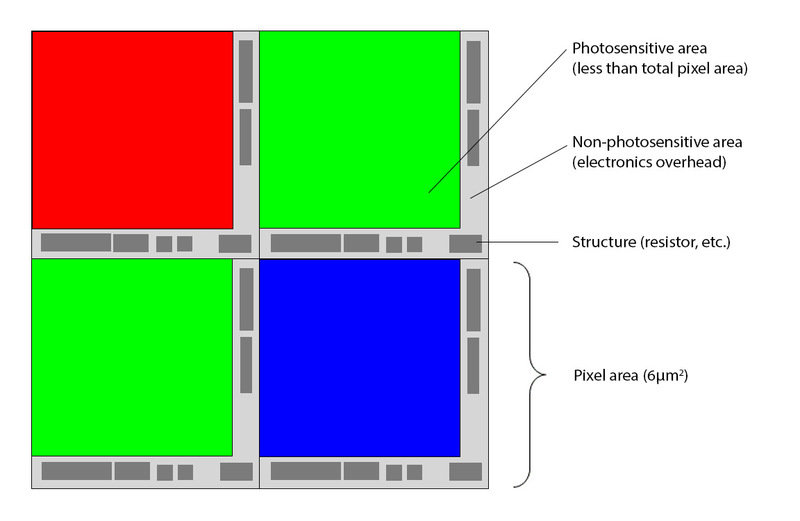 This means that the total number of pixels in a sensor are exposed to either red, green or blue light only. To form a color image, the information obtained from the sensor is then processed by interpolation in the camera or by raw conversion software. It takes the pixels of each color, and assigns all colors to each pixel. With other words, the software will take a red pixel, for instance, and assign theoretical green and blue values as well to form a complete color image. As good as these types of software have become, there are certain losses involved. With lower quality cameras these losses can be as much as 50 percent of the resolution. The only exception to this is the Leica M Monochrome. Here the Bayer filter and interpolation software is eliminated to record just black and white images. 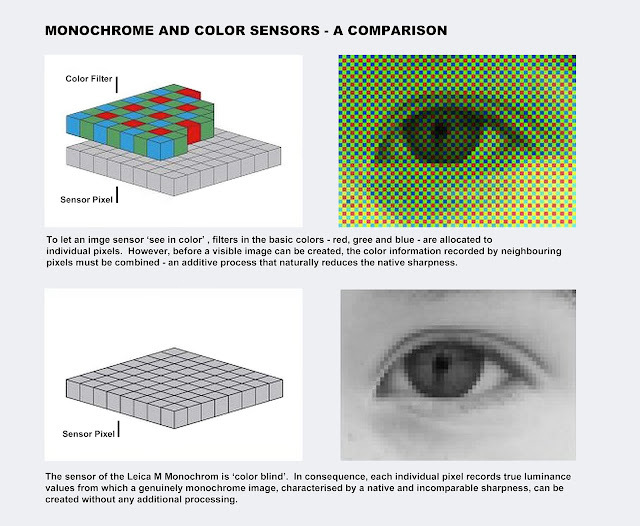 See LEICA Barnack and Berek Blog article “MONOCHROME SENSOR - WHAT IS THE DIFFERENCE.” The result is an unsurpassed image quality and tonal range. In the final analysis, just as there are definite performance differences among films, there are also considerable differences among sensors. 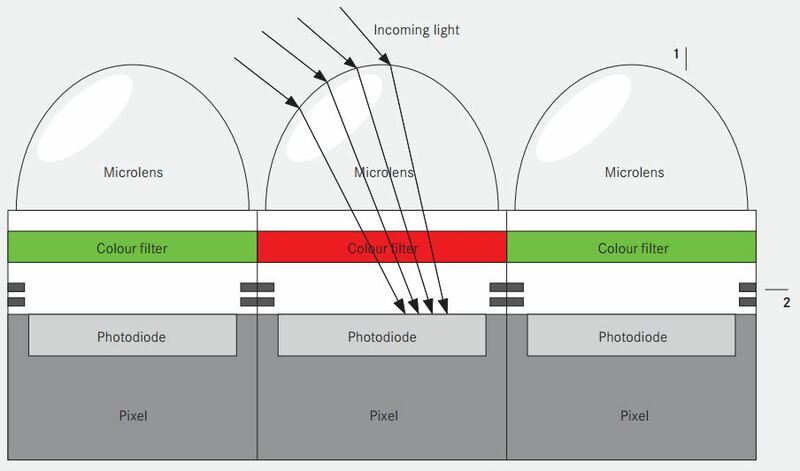 CCD sensors used to be the choice of most camera manufacturers. These have been widely replaced by CMOS sensors. In this respect, Leica is no different. 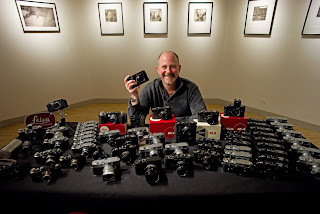 Many people are under the mistaken impression that the CCD sensor in the Leica M9 delivers superior results than the current CMOS sensor in the Leica M (Typ 240) A recent comparison test by David Farkas of the Leica Store Miami thoroughly debunked that. He took this very subject to task in a three part series in the Red DotForum. 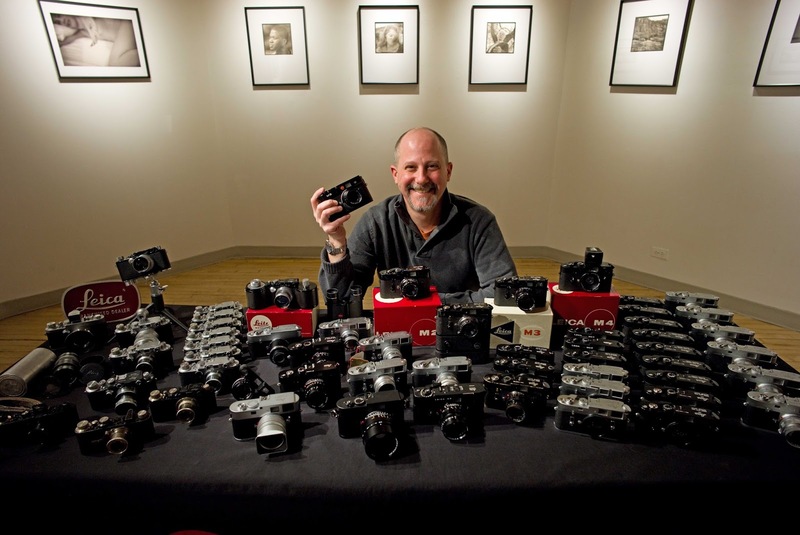 See LEICA Barnack Berek Blog article “LEICA M (TYP 240) VS LEICA M9”. The debate of which is better, film or digital sensors, cannot be answered with any certainty because the large differences among films and sensors. What can be said is that both film and sensors are capable of delivering very high quality images. In many cases they do exceed the requirements of the photographer since extreme cropping or enlarging is necessary to even reveal the limits of their capabilities. Thus it is more a matter of personal choice than effective differences pointing to one or the other medium as being superior. As for myself, I used to spend many hours in my professional custom black and white lab developing films and printing with a Leitz Focomat V35 as well as medium and large format enlargers. Having switched to digital, I don’t miss analog photography at all, and I can say with certainty that I am not compromising the overall quality of my work by having done so. Modern lens design techniques have presented us with a relatively large number of super wide angle lenses of 15, 13 and even 12mm focal length. All of them are very complicated, multi element designs in order to avoid visible distortion and lack of sharpness due to under corrected optical aberrations. These lenses have become actually quite common, and few photographers even remember the super wide lens which started it all. For many years, 21 and 20mm lenses were the maximum 35mm photography had to offer. Anything with a wider angle of coverage had to be of a fish eye design with all the draw backs of pronounced barrel distortion. All of this was changed with the introduction of the Zeiss Hologon 15mm f/8 in the early 1970s. This was unusual in many respects. Not only was the Hologon the first lens to achieve the unheard of angle of coverage of 110° without the usual fish eye effect, it was also the first post-war marriage between Leica cameras and Zeiss lenses. The Hologon was initially developed for the Zeiss Hologon camera, which was part of the Zeiss Contarex system. At the time it was thought impractical to offer the Hologon as an interchangeable lens, even with mirror lock up in the reflex Contarex. Instead, Zeiss opted for a separate camera body, based on the Contarex with the mirror box removed and with the lens permanently installed. It was their claim that extremely precise registration and centering was necessary for the lens to perform satisfactorily. 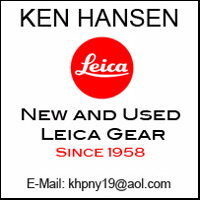 The Leica M cameras also met these criteria and the lens was made available in the Leica M mount also. It was sold with a special 15mm viewfinder included. The 15mm Hologon with its undistorted 110° diagonal angle of view is probably one of the most interesting lens designs ever. Conventional lens design theories would indicate that a lens with such specifications would have to be of a multi-element design. Computer aided research of wide angle lenses for aerial photography was conducted. The normal concept of using many thin elements in wide angle lenses was actually revealed as unnecessary. In fact, only three thick elements proved necessary to assure good performance of the lens. Subsequently, the Hologon is of a triplet design, although bizarrely shaped. Thus we have an example of an optical design which would not have been created by using conventional methods. Furthermore, it is safe to say that manual computations for this design would have literally taken years to complete. Construction of the lens made the installation of a diaphragm virtually impossible without compromising overall performance. It was also impossible to offer a speed faster than f/8 for the same reasons, even though some of the modern optical glasses available today might offer the possibility to increase the speed of the Hologon. It was felt that the restriction of a fixed aperture of f/8 would not pose any great disadvantage. Besides, a graduated neutral density filter, offering perfectly even illumination across the entire image area, would effectively render a speed equivalent of f/16. This could also be used in situations where the standard f/8 aperture would lead to overexposure. Since the Hologon lens renders virtually distortion free images, the camera should be used perfectly level, to avoid excessively converging lines on verticals. For that reason the 15mm viewfinder had a built-in spirit level, which helped the photographer keep the camera level, especially when shooting hand held. The ability of an extremely wide angle lens to render virtually distortion free images allow the photographer to shoot many photographs where it is impossible to tell that an extremely wide angle lens was used. 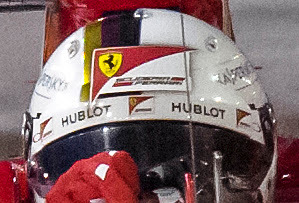 But this is only one of the advantages of such a lens. The other is that it produces photographs with a rather different perspective. It is important to pay special attention to the foreground since the extreme angle of coverage will show a considerable amount of foreground when the camera is held level, even when used horizontally. It is also important to hold a camera with such a lens very carefully. It is quite easy for the lens to pick up ones knuckles. The Hologon was designed to render optimum performance at f/8 across the entire image area. Due to the optical glasses available at the time of its design, the lens did not quite show the high contrast level typically associated with the high quality optics from Zeiss. In practical terms, this will result in perfectly sharp enlargement up to 8x10 inches. Bigger enlargements might show a certain lack of crispness when inspected very closely. Projection of transparencies, on the other hand, will show no adverse effects, because the projected images usually are not inspected very close up. The same is true with big enlargements when viewed from a more “normal” viewing distance. The Hologon allowed focusing from 8 inches to infinity. Considering the great depth of field rendered by such a short focal length, one might initially think focusing to be superfluous. 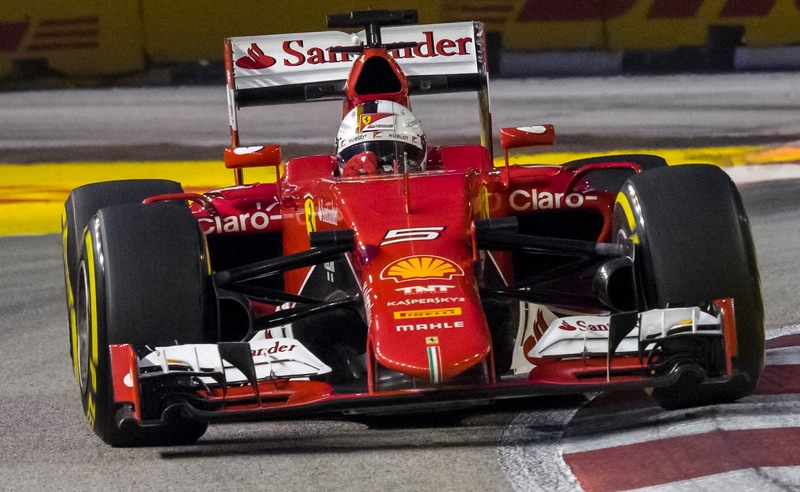 But it was proven that the overall performance of the Hologon could be improved if the lens was focused properly. Newer, more sophisticated lens designs have improved the speed of super wide angle lenses and even allow for reflex viewing. Subsequently, the Hologon has long been discontinued. But it deserves credit for having been the first of the super wides, and its unusual design will always give it a special place in the history of lenses for 35mm cameras. Those who own a Hologon can consider themselves lucky indeed.